JEJU, South Korea, September 9, 2013 (ENS) – The Global Geoparks Network today added 10 new geoparks – geological heritage sites of international importance, rarity or beauty – in Austria, China, Italy, Japan, the Netherlands, Portugal, Slovenia, Turkey and Uruguay. The new sites bring the total number of geoparks in the network to 100, located in 29 countries. They were inscribed during the 3rd Asia-Pacific Geoparks Network Jeju Symposium taking place on Jeju Island, South Korea from September 7-13. Sites in the Global Geoparks Network have an effective management structure and clearly defined boundaries. They cover a large enough area to permit sustainable economic development, primarily through tourism. The network was created with UNESCO’s support in 2004 to encourage cooperation between geological heritage experts and practitioners, promote awareness of geological hazards, disaster mitigation strategies and climate change and the need to manage natural resources sustainably. The Global Geopark brand is a voluntary quality label and UNESCO offers support to sites that are part of the Network on an ad-hoc basis upon requests from UNESCO Member States. The distinctive beauty of Jeju Island, which lies off the southwest coast of South Korea, has been recognized with a UNESCO Biosphere Reserve site in 2002, a UNESCO Natural Heritage Site in 2007 and a Global Geoparks Network site in 2010. Jeju is also known for three years of protests against the construction of a South Korean naval base on this island that residents call the “Island of Peace.” The protesters fear a naval base could trigger a naval arms race in the region, while increasing tensions with China. Protesters have staged rallies to stop the base construction despite these actions being ruled illegal by the Jeju courts. They worry that the base would destroy the marine ecosystem that supports their fisheries and draws visitors from around the world. Today the new geoparks were recognized at the 3rd Asia-Pacific Geoparks Network Jeju Symposium, where speakers will detail progress made towards the creation of an official UNESCO Global Geoparks Initiative to replace the current situation of ad-hoc support to Member States. Speaker Young Kwan Sohn will outline a future study under consideration to compare Jeju with other volcanoes in East Asia and reveal the geodynamic and magmatic origin of these volcanoes. Sohn says this and other scientific studies will help promote Jeju Island as the most successful geopark in the world. This geopark is a mountainous region located in the northwestern part of Hubei Province. Known as the “Roof of Central China,” the Shennongjia area features six mountains higher than 3,000 meters, most composed of intrusive diabase rocks. The geopark has three major landforms: peaks, glaciers and karst. It holds fossils of ancient animals, peculiar geological landforms, beautiful water scenery and the relics of ancient geological disasters. In 1995, relics of ancient Pleistocene human beings who lived between 2.5 million to 11,700 years ago, were found in a cave 2,100 meters above sea level near Hongping. More than 1,000 pieces of stoneware and the fossils of rhinos, pandas and elephants were unearthed in the cave. 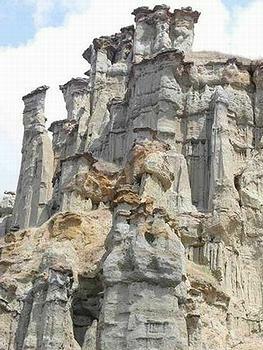 This geopark is located northwest of Beijing, in the western part of the Yanshanian Mountains. A characteristic mountain building process during the Mesozoic time created its picturesque landforms of vertical strata, fractures, huge domes and large-scale anticlines unlike any mountainous area in Europe, America or Africa. The site’s geoheritage includes silicified wood and late Jurassic dinosaur footprints. The geopark’s cultural history shows human activity over some 40 to 50 thousand years, through stone tools and other relics. Ancient humans dug their homes in the granite at the cliff-dwellers site of Guyaju, which now is open to visitors. The largest cliff residence ever discovered in China, this site has more than 110 stone rooms carved into the rock. 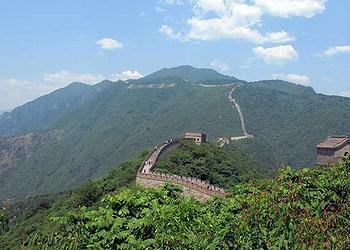 These two new geoparks bring the number of Chinese sites in the Global Geoparks Network to 29. This geopark in the Piedmonte Region stretches over two neighboring Alpine valleys, Sesia and Val Grande, and includes the two sacred sites of Sacre Monte of Varallo and Sanctuary of Ghiffa. Both belong to the nine Sacri Monti of Piedmont and Lombardy, which are included in UNESCO’s World Heritage list. The geology here is connected to Alpine tectonics with outcrops used for hiking tours through the Earth’s crust, including a journey from the deep crust to the collapsed caldera of a fossilized supervolcano with a magmatic plumbing system 25 kilometers deep. The geopark provides one of the most spectacular sections through rocks of lower crustal origin lifted by mountain building processes. Two important rocks are of special interest: the pink marble in Ossola, used to build the Cathedral of Milan in the 14th century, and soapstone which has been used for a variety of purposes throughout history. The villages in Val Sesia are important for the history of the Walser people who migrated to the region between the 12th and 13th centuries from what is now the German-speaking part of the canton of Valais (Wallis) in Switzerland. The Oki Islands Global Geopark is situated off the west coast of Honshu, Japan’s main island. Beneath the Oki Islands is a fragment of the Eurasian continent, left during the formation of the back-arc basin that led to the creation of the Japanese islands and was later overprinted by violent volcanic activity, an unusual process and combination of activities. The Oki gneisses contain evidence of their continental origin, and the alkali volcanic rocks present here are extremely rare elsewhere in the Japanese arc. Coastal erosion of rock faces has created numerous sea caverns and steep cliff-lined coastlines. The unique plants and animals here show the influx of sub-boreal zone vegetation that occurred during the coldest stage of the last Ice Age, mingled with warm-temperate zone vegetation. The first geopark in the Netherlands is located in the eastern part of the province of Drenthe. The Hondsrug is a small ridge left over in a landscape that was overrun by ice, creating the typically flat Netherlands. The Hondsrug is a unique remnant of a Late Saalian glacial lineation; a complex of megaflutes covered by till. Glacial melt water formed ridges and valleys underneath the ice sheet, still visible in the landscape. These geomorphological structures are unique in the Europe-Asian Pleistocene landscape. Huge numbers of erratics – pieces of rock that differ from the size and type of rock native to the area in which they are found – range from small till material to boulders of 40 tons. Glaciers brought these rocks from Sweden and Finland and deposited them in the Hondsrug. Some of the larger rocks were used by humans 5,500 years ago to raise Neolithic stone megaliths, the oldest monuments in the Netherlands. Shaped by volcanic and tectonic forces, the Azores Global Geopark is situated at the triple junction between the North American, Eurasian and African tectonic plates. There have been 26 volcanic eruptions here since the early 15th century when the Portuguese first settled the islands. The Azores include 16 major polygenetic volcanoes, most of them silicic while some feature summit caldera subsidence. Nine are still active. In addition there are over 1,700 monogenetic volcanic features dispersed either along the flanks, on the summits of the polygenetic volcanoes, or in some 11 basaltic fissure systems. Features here include domes, tuff rings and cones, maars, scoria and spatter cones. Built heritage includes old manor houses, monasteries and churches as well as several fortresses that bear marks from pirate attacks in the 16th and 17th centuries. All were constructed with volcanic rocks. The Idrija Global Geopark is situated in the western part of Slovenia, about 60 kilometers from the capital Ljubljana. It was constituted by a fracture in the Earth’s crust, one of the strongest in the southern Alps running from Croatia, 120 km across the entire territory of Slovenia, and into Italy. This fault allowed mineral-rich liquids from the deep to deposit mineral resources closer to the surface which have been exploited for more than 500 years. The mining history of Idrija has been inseparably linked to a mercury mine, which was inscribed on UNESCO’s World Heritage List in 2012 as the Heritage of Mercury Almadén and Idrija. The identity of the area and its culture, lifestyle, education, research, industry, health and cuisine all have their roots in this exceptional ore deposit, whose discovery in 1490 led to development of the town. The Karavanke/Karawanken Global Geopark is named after the Alpine mountain chain which forms the border between Slovenia and Austria. It is marked by ongoing mountain building and recent seismic activity. The Alpine mountain building events are linked to the collision between the African and European continents and form a variety of metamorphic rocks. The geological history of the site goes back some 500 million years. The recent extraction of iron and coal has left a mining heritage. The mines have been equipped for tourism and attract many visitors. Turkey’s first geopark is a volcanic area located in the Manisa Province in Western Anatolia, 150 km east of Izmir. Volcanic cones and lava flows of the Quaternary Age dominate its landscape. The latest eruptions at the site occurred about 12,000 years ago. Some of the volcanic ash layers show fossilized footprints of prehistoric humans. The Kula basalts are the only example of rapid uplifting of asthenospheric material in western Anatolia formed by the rapid southwestward movement of the Aegean microplate overriding Africa. The asthenosphere is a region of the Earth’s upper mantle that exists at depths between 100 and 200 km (62 and 124 miles) below the surface. The Kula volcanoes include more than 80 cinder cones, as well as maars, lava flows and tephra. Kula town dates back to the Ottoman Empire and, due to its geographical position, has long been an important centre for the production of, and trade in, a wide range of goods including carpets, leather and metal products. Uruguay’s first geopark is located in the northern part of the Department of Flores. 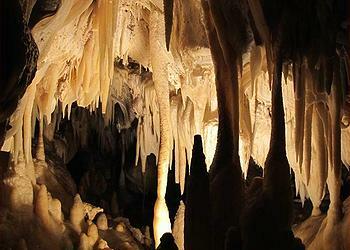 A picturesque cave system with almost 100 columns up to two meters (seven feet) in height characterize this geopark. The crystalline basement rocks of the Rio de la Plata Craton, which underlie most of Uruguay, are only exposed in the south and east of the country in a characteristic hilly landscape. The rocks exposed in the geopark are geologically very old, from the Precambrian era, 4600 to 541 million years ago, but every other geological age also is represented in the rocks and sediments of this geopark.